IMproPRieTies: "There is no innocent explanation." "There is no innocent explanation." "I am happy to say our doctors have been assisted by others, and WHO (the World Health Organization) and they have now arrested cholera. Because of cholera, Mr Brown, Mr Sarkozy and Mr Bush want military intervention. Now that there is no cholera, there is no need for war. The cholera cause doesn't exist any more." Perhaps sadly, Tom, I spent some time reading Agent Daniel Cain's affidavit detailing Rod Blagojevich's alleged misdemeanours. I still - despite decades of compelling evidence, find it difficult to believe people can be so blatantly arrogant, dumb, and criminal. Worse, I find my own inability to comprehend such high-profile criminality responsible, within reason, for aiding and abetting it. I've a feeling it's the flagrant nature of their violations. "All your base are belong to us" is a great line and they use it freely. 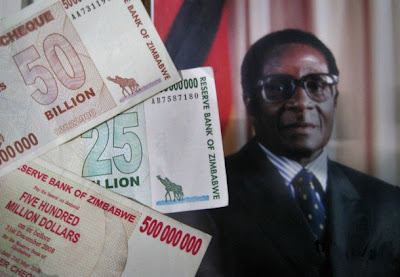 A part of us (the Mugabe bit) wants to believe it's not real. 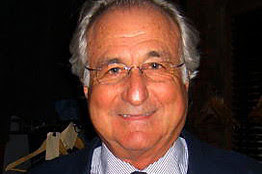 Rich folk-ies, who freely hand over their money to the likes of madoff are getting darwined. Politbureau-style regulatory agencies have mushroomed under the current administration. Madoff happens while big brother government has grown biggerbiggerbigger at local, state and federal level. Galileo to Hannity, Limbaugh, misc. asshats etc.